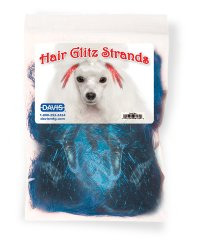 Davis Hair Glitz Strands, makes tufts of shimmering hair extensions. 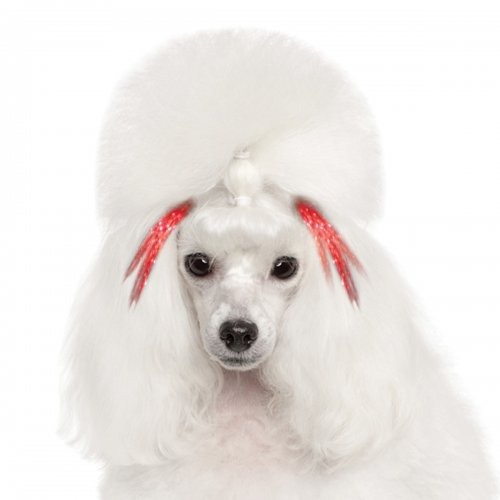 These creative hair accessories put a creative twist on accessorising clients pets or for creative grooming effects. Hair Glitz Strands Come complete with illustrated step by step instructions. They can be combined with other items in the Davis creative range such as feathers, bows or beads. Can be secured in the hair with a feather extension crimping bead and crimping pliers. Latex bands and hair threading tool sold separately. Available in:- Fuchsia, Green, Red and Royal Blueds. Founded over 30 years ago, Davis Manufacturing is based in Atlanta, Georgia where they manufacture an exclusive line of quality animal products for the veterinary and grooming industries. Davis began as a 1st generation family company and now have grown substantially to include a 2nd generation, as well as a diverse and dedicated staff. It takes quite a team to research, compound, manufacture, bottle and distribute the extensive line of Davis brand products! At heart, however, Davis are still a family company that takes its business personally.